It has been just over six years since Q.U.B.E was first released to reasonable acclaim. 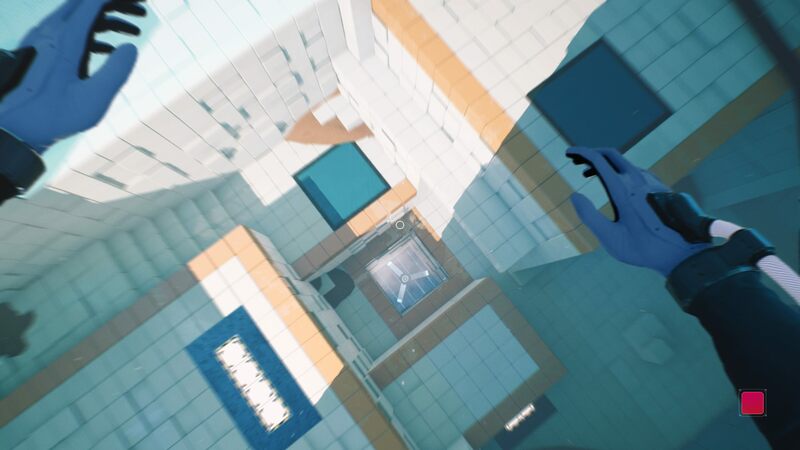 A game very much along similar lines to Valve’s excellent first person puzzle game, Portal, it follows a protagonist who must find her way through a mysterious structure, solving interesting, physics based puzzles. 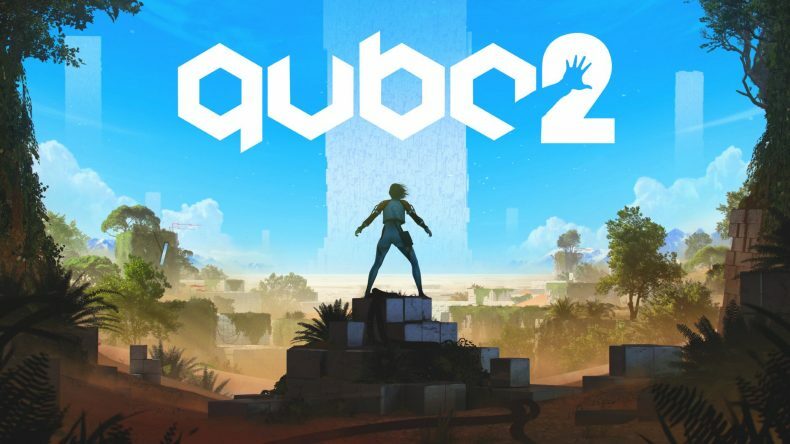 And, much like Portal 2, a game that improved in almost every way on its predecessor, Q.U.B.E 2 does the same with vastly superior visuals, an expanded and more fleshed out story, and most importantly some interesting, creative puzzles to solve, that follow perfectly the syntax that is clearly laid out at the very beginning. You play as Amelia Cross, a scientist stranded on a seemingly alien landscape. After crawling towards what looks like a structure, you pass out and awaken in a sterile white environment. A voice, over a communications channel, advises you that they are on their way to rescue you, but you will have to work out a way of getting higher in the structure so that they can get you. The story is told to you via the communications channel. The disembodied voice belongs to Emma Stucliffe, a fellow scientist who seems to know what the structure is, that it is malevolent and that you must destroy it. She advises you that you were part of a team sent to stop an alien craft from crashing to earth, and that you are most likely suffering from post-cryogenic memory loss, and that you and her have in all probability been teleported back onto the alien craft. Through her voice you begin to piece together where you are, and what your task is. The story is suitably compelling, at least in so far as it pushes you forward, but it is the puzzles themselves that provide the most impetus. The comparisons to Portal are well founded. Much like the Apeture Science Enrichment Centre, you are funnelled through a series of chambers with increasingly more complex puzzles to solve in order to escape through the door and progress. 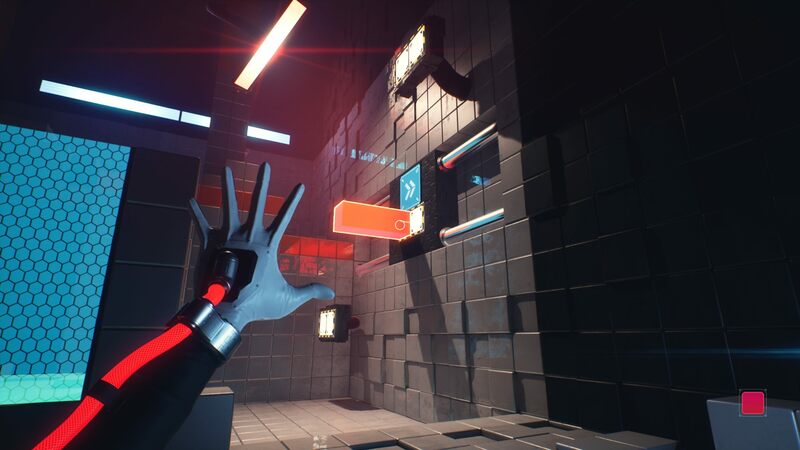 Rather than being equipped with the portal gun you have a natty suit that, via the gloves, allows you to affect certain cubes within each room. 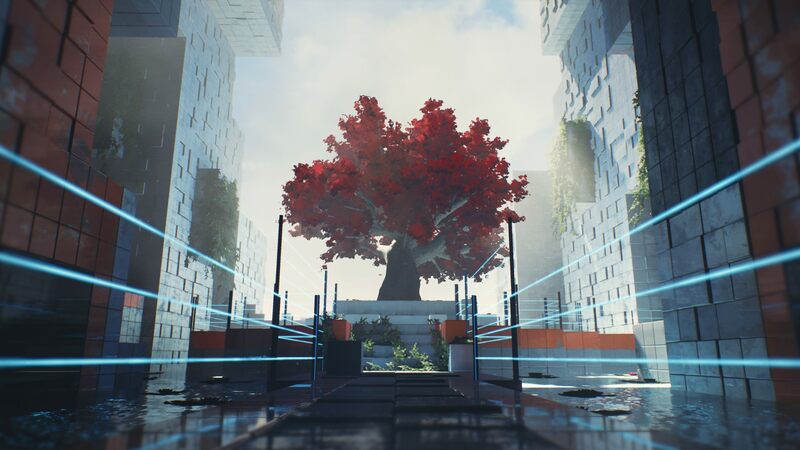 Each cube that can be manipulated is surrounded by a border, and in the early puzzles, is colour coded, instantly providing you with the language you need in order to successfully complete the puzzle and leave. As you progress you can choose which of the coloured cubes you wish to use by equipping the corresponding power in your glove, handily indicated by a circle of light in the palm of each hand. These abilities are given to you gradually as you progress, providing you with plenty of opportunity to practice and understand each new mechanic you are introduced to. Your powers are limited though. Your suit can only change the properties of the cubes in three ways. Blue cubes have propulsion abilities and can be used for lifting you onto higher areas. The red cubes can be pulled from the floor or out of the walls to provide a ledge, while the green colour means that you can create a solid cube that will detach itself from wherever you drew it from and move it around the chamber. Only having three abilities keeps the puzzling elements straight-forward as there aren’t too many systems for you to keep track of, and the simple use of colour means that as soon as you enter a room you immediately understand what is required. That isn’t to say that it’s easy. It is a challenging game, particularly as you progress further into the structure. Gradually, complexity is added to the three colour system by adding in sections of the chamber that can be rotated or moved along a runner. Huge fans litter areas of certain chambers that create barriers to movement if you get too close. There are jets that spray out an oil like substance that can coat a cube and make it slippery, or burst into flame if it gets too close to an open flame. Initially the puzzles are a simple case of using the colour cube in its base form; using the blue power to launch yourself up or the red one to create a platform for to climb to reach a higher area. Gradually, though, you will be required to think a little more laterally about the solution, perhaps coating a green cube in oil to make it slippery, and propelling it via a blue cube so it travels farther and hits the button to make a door open elsewhere. As you progress each room adds in more and more elements to experiment with, and later puzzles become a layer of incremental solutions to gradually open up more of the chamber, and eventually solve the whole thing. It’s all rather nice to look at, managing to use light and dark with dramatic effect to create a real sense of scale. There are plenty of eerie stretches where low light and direct light create glare and ominous shadows. Early on the chambers have a claustrophobic feel to them, but as you progress further and further up, patches of daylight start to seep in, and the chambers take on the semblance of a structure that has been stationary for some time; so much so that nature has started to take over. It is at times quite lovely, and each room although essentially similar in the way it looks, has a unique feel to it. This is an enormously satisfying puzzle game that manages to blend an interesting story with some clever and imaginative puzzles. The language of each coloured block and the objects and their function and limitations in the chambers is communicated exceptionally well, so much so that solving the puzzles is never a chore, rather a process of experimentation. Each puzzle flows on from the last, gradually increasing the complexity so you are never overwhelmed when a new mechanic is introduced. Even the most difficult of puzzles never felt insurmountable, and like Portal, experimentation is highly rewarding with the solution often staring you directly in the face. It is a rare puzzle game that keeps me consistently engaged right through to its conclusion and Q.U.B.E 2 managed it effortlessly.